Ways We Implement "Come Follow Me"
Starting this year, our church is focusing on encouraging families to teach their children the gospel in the home and to study it for themselves. The church is to be a support to that teaching and learning. We have a new curriculum that we use in our homes as well as in our church that focuses on teaching about Jesus Christ and studying the New Testament for this year. It is called the "Come Follow Me" program. In reality, we have always known that as parents, it has always been our responsibility to teach our children the Gospel and the church has been there as a support. So, we are really excited about the extra support we are receiving in this effort. Our children who live in our area talked with my husband and I and we all decided that we would get together on the first Sunday of each month to discuss what we are studying in our homes. The rest of the time, we will study as individuals and separate families. My husband and I make it a habit to read the scriptures together and discuss them every evening. Getting together with our children and grandchildren once a month is a great change of pace and a way for us all to stay connected and to learn from one another. It is wonderful to be involved in the teaching of our grandchildren as well. January 6th was the first Sunday of the year! Alicia and her family were still here from California, so my husband and I were so excited to be hosting the first family gathering at our house. We knew it would be a challenge with so many adults and children mixed, so we talked and planned how we would run the evening and discussion. Here is what we did. Hopefully, if you are implementing this program in your home, our outline of events will give you some ideas. We decided to start our "evening" at 3:00, after naps and before kids were getting cranky and tired again. By request, we made our dinner a taco night because my kids love it when I do tacos. So, we started out with fun and good food. We had beef for meat eaters and vegan beans for non-meat eaters and all of the rest of the delicious taco fixings. I also made dessert, the best chocolate chip cookies ever and ice cream. But, we saved those (mostly) for after the discussion and activity. We started our discussion with a song and a prayer. We didn't have what you might call a lesson, but we sat down and everyone shared the thoughts we had about the topic of study and any insights we had gained. My husband facilitated the discussion. During this time, I had found some coloring pages for the little ones that they were able to color in the middle of the room as we adults talked. Not everyone shared a thought, but that was okay. The things that were shared were very insightful and thought provoking. Next, we decided that an activity would be a fun way to spend the evening, allowing a little more involvement for those too shy to share their thoughts in the discussion and the kids were even able to join in a little as well. (Our oldest child there was only 3) We have a family game that we like to play when we get together that we called The Sentence Picture Game. My husband had the idea to adapt it to our topic of discussion. We use the game Telestrations to play, but we don't play according to that games directions and this time it was even more of a variation from the original game. I explained the game a couple of years ago on this post. This time, we instructed everyone to write a sentence on the first page of the little dry erase game booklet that had something to do with what they had studied or thought about when it came to the past week's lesson. Then, we passed the books around the circle and the next person read the sentence and then turned the page of the booklet and drew a picture of what they had read. Then, next person looked at the picture and wrote what they thought the sentence had said, and so it went, alternately around the circle drawing pictures and writing sentences until each person ended up with their original booklet. The outcome of the game was really funny, but not irreverent and we were able to hear what each person had originally thought of. The nice thing about the Game Telestration is that you don't have to cut up and give everyone stacks of little papers and there are a lot of the booklets in the game, so the oldest children were able to draw pictures in their own booklets as well. In advance of the evening, I had painted and used my Cricut to decorate picture frames that we can add scripture verses to as the year progresses. Each family that hosts can decide on the scripture that we add to the frame for that month. Since the first week's theme was about being responsible for our own learning and then doing something about it, we chose James 1:22. The frames are available at Michael's for $1.00. One of my favorite parts of the evening was when we ended the evening with a song and a prayer. We have a favorite family hymn that we have always sung together since our children were young entitled, "Choose the Right." We started singing it to end the evening and our little 15 month old granddaughter ran into the middle of the group and started dancing away with her hands up in the air! It was so adorable! After that we all enjoyed the cookies and ice cream. It was a great evening. I am really looking forward to next month. I think that the mixture of food, fun, truth, honest feelings and love are what made the evening a success. Next month, Lindsey and her family are hosting and I am so excited to see what they plan for us all! If you are also using this program in your home, we would love to hear your ideas that have worked well for your family! Drop a line in the comments. There's Still Time to Send Christmas Gifts Overseas! This post contains affiliate links. We will be compensated for purchases made through those links at no additional cost with you. 3 Winks design does not share your information. All views expressed are our own. Those pictures of my son (and me) are from a year ago already! We were sending him off on his mission to Cote d'Ivoire, Africa! Wow! This first year has gone by quickly. He has one more year to go. If you want to see why he is on a mission, I wrote about it on this post. Here is how he is looking now! He has lost weight! He is 2nd from the left. Here with other missionaries that he is working with. Jake is enjoying his mission so much and he is getting a lot of good work done. But, being away from home has helped him realize how blessed we are here in the States and he misses some of the food and extras that he can't get very readily over in Africa. Especially not in the small villages where he is working. With Christmas coming, I wanted to make sure he had some greetings from home and a few of the treats that he has been missing. Luckily, Gift Baskets Overseas helped to make that possible! It all started with an email I received from them on Cyber Monday! They were waiving the delivery fee on their gift baskets! That was a great deal and so I jumped on it! If you haven't used Gift Baskets Overseas, they are a company that has many gift baskets to choose from. The gift baskets are put together and delivered in the country where your loved one is. This eliminates tariffs and fees that you otherwise have to pay when you ship things from one country to another. Those tariffs typically cost my son about $30 when he receives something delivered from the US. So, as you can see, he was able to save money right away by not having to pay any fees upon delivery. Gift Baskets Overseas are available in over 200 countries. I went to GiftBasketsOverseas.com and put in the information about the country where I needed to have the gift sent. In this case, The Ivory Coast. You can also tell them what occasion you are shopping for and then choose the date of delivery. There are still dates available before Christmas! I perused the tons of gift baskets available and chose one that I knew he would love. It was this one, Spread of the Season. I knew Jake would love the peanut butter, Nutella and Dr. Pepper! 3. Next you just type in the information required about addresses, a phone number and email addresses. It is a very simple process. Give your payment info and then order! Right now, there is a $5 USD discount code when shipping a gift basket, so be sure to enter that code when you order! In Africa, addresses can be tricky. I have to send things for Jake to his mission headquarters in the large city of Abidjan. Then, they will take the packages to him wherever he is working at the time. After I placed my order, I received an email telling me that they were concerned about sending the gift to a church building because it was sometimes difficult to deliver there. Doors weren't always answered, etc. I was able to contact them right back and assure them that the mission office was accustomed to accepting packages for missionaries and there shouldn't be a problem. So, they went ahead with the order. I loved that easy communication with them and the personalized service! The package was delivered on the day that I had chosen. I know this because I received another email from them which also told me who had signed for the package. I was able to send a thank you email right back to them and send an email to my son telling him it had been delivered and who had signed for it. I was so happy when I heard that the package had been delivered in such a timely manner. But, I wondered what condition it was in when it arrived. There is chocolate in that gift basket and it is very hot in the Ivory Coast. I hoped it wasn't a melted mess. Well, today I received an email from my son, and this is what he had to say about his package. So, if you have a loved one overseas, whether he is a missionary, business person, student or tourist, you can still send them holiday greetings in time for Christmas that will brighten their spirits. Just log onto Gift Baskets Overseas and choose something that they will love. **I was compensated for this post. 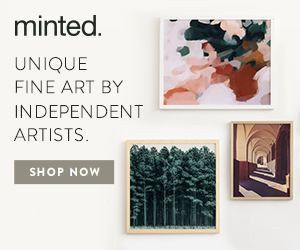 This post also contains affiliate links and I will be compensated if you make a purchase after clicking on my links. All opinions are my own. I absolutely love being a grandmother. My husband and I have 10 grandchildren and they are the best in the entire universe! My heart nearly explodes when I think of each one of them and there is nothing I want more than for them to grow up happy and healthy and good. They all have good parents to lead and guide them. (My wonderful children and their spouses) But, I feel like as a grandmother, I can be a loving and good influence in their lives. I didn't ever really know my own grandparents. They all passed away when I was very young. I know other people have related to me how important their grandparents have been in their lives. I want to be important to my grandchildren. I want them to know that I am here for them and that I will always love them, no matter what! For almost a year now, I've thought about writing a little book for my grandchildren called, "What Grandma Wants Me to Know." I considered a board book but I wasn't sure about illustrations. Maddy didn't have time to do them for me. Then, I discovered Mixbook! Their photo books are beautiful and completely customizable! The photos of my grandchildren could be my illustrations! So, I teamed up with Mixbook to make my first photo story book for my grands. I had already come up with a list of ideas that I wanted to include in the book. Some of them were simple joys, like baking cookies and swinging. Some of them were deeper and more meaningful, like learning to love to read, and realizing that God loves them. When you think about it, you can make a list a mile long that covers the things you want your children and grandchildren to know. You can customize this idea for your own family! Since I had my list, I went through the pictures that I have and started to match them to the topics I wanted to cover. It was so easy to upload them to Mixbook. Then, all I had to do was choose my cover and design of my book. There are a ton of great templates and sizes to choose from. I decided to start mine from scratch and make it a totally custom creation. I easily arranged the pictures and the texts where I wanted them to be. Mixbook would give me a hint if a certain photo needed to be resized for the best appearance in the book. Not only that, but I was unable to finish the book all in one sitting, so it was saved to my account until I could come back and work on it again. Not every page in my book had photos. I included some text of poetry and "words of wisdom." There are also choices of fonts and stickers available to add interest to your pages. The entire process was a lot of fun. Now, here are some of the best parts! Once I completed and ordered my book, it got here amazingly quickly! I was so excited! They are always offering discounts to help you save! Right now there is a code that they gave me with my order that gives $25 off an order of at least $25! Just enter MIXMAS when you check out. (This code expires 1/31/19, Limit one per person, tax and shipping not included). 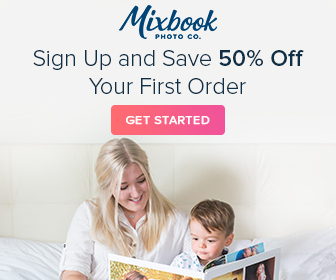 Once you get an account on Mixbook, you will receive other discount offers via email! It is awesome! Mixbook has a 100% happiness guarantee. If you don't like the end result, you will get your money back! There is so much more to do on MIxbook than books! There are ways to make cards and posters and calendars, too! Not only are they great gifts from grandparents, they are of course great gifts to grandparents! I've only had the book for a couple of days. I plan to keep it out at my house where I can read it with my visiting grandchildren whenever possible. There is a possibility of printing one for each family, but right now I love seeing how much they enjoy seeing themselves in the book when I read it to them. I feel like I am sending them a message that they will one day get as we share this book over the years. A message about how special they are and about what marvelous potential they have and that there are cheerleaders all around them, including me! Who knows, there may be multiple editions as they grow and I think of more that their grandma wants them to know!